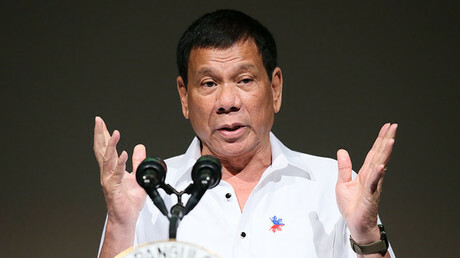 Philippines President Rodrigo Duterte has ordered that contraceptives be handed out for free to 6 million women who can’t afford them, aiming to fight poverty in the country. Of the six million, two million were identified as poor, and they will have access to birth control by 2018, followed by the rest. The measure is aims to make contraceptives available and make sure there is “zero unmet need for family planning,” Economic Planning Secretary Ernesto Pernia said. “All women of reproductive ages should be able to achieve their desired family size, their desired number of children, rather than having more children than they want or they can afford and provide for adequately, and that is exactly the essence of the Responsible Parenthood and Reproductive Health Law,” he added as quoted by the Associated Press. The breakthrough legislation, which was passed in 2012, allows unlimited access to contraceptives and reproductive health programs at schools, but conservative Catholic groups are against it, as the Catholic Church forbids the use of birth control. The government also hopes the program will curb the poverty rate from 21.6 percent in 2015, to 13-14 percent by 2022. Pernia also said that 11 Filipinas die daily from pregnancy and delivery complications, and “the government can’t continue to tolerate this delay in judgment,” referring to a 2015 Supreme Court decision to restrain provisions of contraceptives after appeals by anti-abortion groups. “Time is of the essence as far as the implementation of the RPRH [Responsible Parenthood and Reproductive Health] Law is concerned,” Pernia said. According to data from the UN Population Fund, the Philippines is the only country in the Asia-Pacific region in which the rate of teen pregnancies went up during the last two decades. The country’s population currently stands at 104 million, and is growing by 1.7 percent yearly. The increase may be reduced to 1.4 percent if the new measure is implemented by 2022.